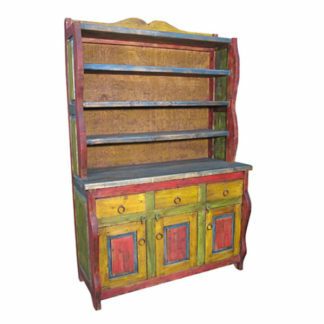 This green patina painted wood buffet with colorful slat doors, three doors and three drawers will enrich any old southwest or rustic decor with its colorful antique look and rustic charm. 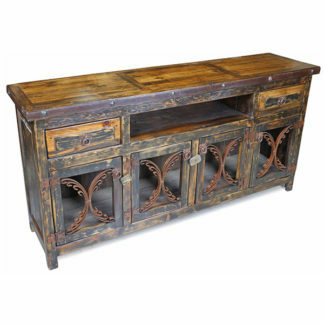 Features iron band accents, nailheads and rustic iron hardware. 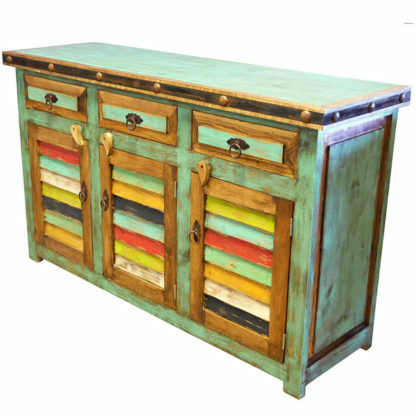 The one-of-a-kind character of our handpainted wood furniture is enhanced by the patina wash and unique wood grain. 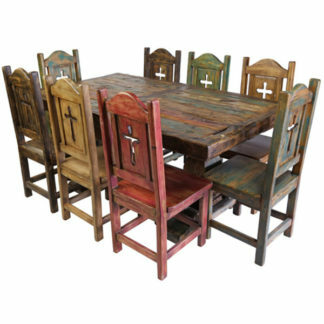 Each piece is a unique creation, so expect some variations in size and color.